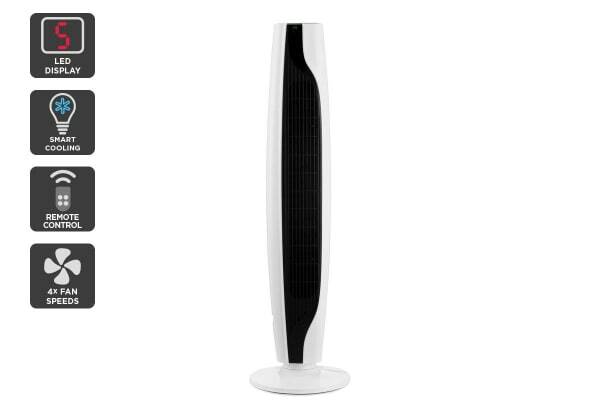 Providing cool airflow to rooms of all sizes, the Kogan ClearCool Tower Fan is a must-have come summer. The Kogan ClearCool Tower Fan will help you stay cool this summer without the hefty power bills that go along with air conditioning. Portable and easy to set up, take this fan into any room, plug it in – and voila! The Kogan ClearCool Tower Fan comes equipped with a range of handy functions that will help you maintain the perfect temperature all day long. 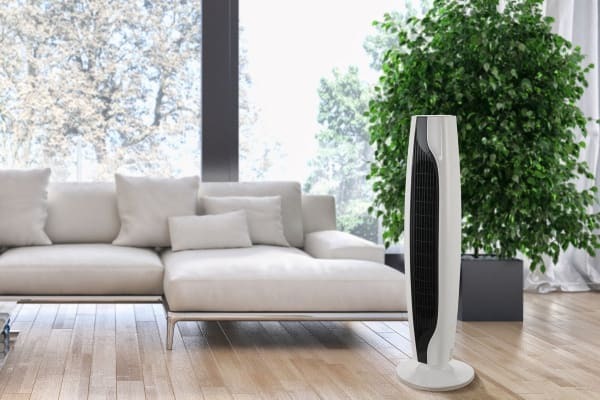 The timer offers up to 8 hours of coolness, and inside the fan is a temperature sensor that will automatically adjust the wind speed as per the room temperature. Flick effortlessly between the 3 wind speeds (low, medium and high) and 4 wind modes (normal, natural, sleeping and air condition mate) with the easy to use LED display or infrared remote control. This product uses button batteries or has a remote control that uses button batteries which are hazardous to young children.. Swallowing may lead to serious injury or death in as little as 2 hours, due to chemical burns and potential perforation of the oesophagus.